University of Mount Union wrestling senior Jairod James (Bedford) is a finalist for Male Collegiate Athlete of the Year at the 19th Greater Cleveland Sports Awards which will be hosted Wednesday, February 6 at the Renaissance Cleveland Hotel Downtown. 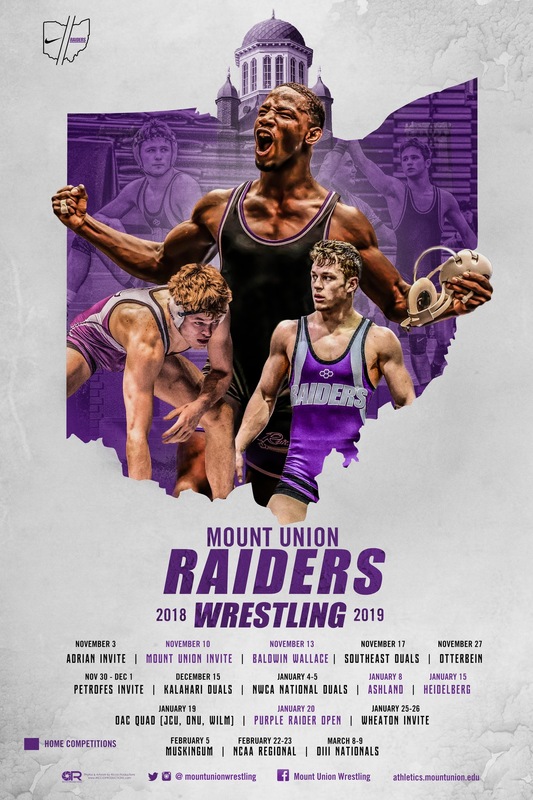 James was a 2017-18 Ohio Athletic Conference First Team selection and the 2018 NCAA Division III National Champion at 174 pounds, becoming Mount Union's second-ever national champion. Currently ranked second in the nation, the senior captain leads the team in career major decisions with 10 as he holds a record of 29-4 on the season and a career record of 51-5. This past December, James was the first Purple Raider to compete at the 56th Annual Ken Kraft Midlands Championships in Hoffmann Estates, Ill. where he defeated No. 10 ranked in Division I Johnny Sebastian from Northwestern University, leading him to a seventh-place finish. The 19th Greater Cleveland Sports Awards, presented by Medical Mutual and Huntington Bank, is the premier annual sports fundraising event in Cleveland. The event celebrates a year of athletic achievements in Northeast Ohio from high school stars to professional athletes. This exclusive event will fill the Renaissance Hotel Cleveland with the most elite members of Cleveland's sports scene to celebrate an epic year of athletic achievements. For more information, visit www.clevelandsports.org or contact Rachael Stentz-Baugher at rachaelsb@clevelandsports.org.